And now for something completely different ! 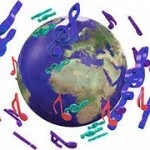 Three world music tracks. 1. Chaiyya Chaiyya (from the Bollywood film « Dil Se »). 2. Now we are free (from the film « Gladiator »). 3. Alegria (from Le Cirque du Soleil show).